There is nothing easy about choosing to end a marriage – and some of the worst hit people (almost always unintentionally) are the children. There are absolute mountains of case studies showing how physiologically damaging a parental separation can be for children – but often times, especially in the case of marriages or relationships that just won’t work, it’s the best option. Parents need to be consciously aware of the problems and stresses a major change like this is going to have on their children, and despite any and all differences should make sure they are putting their best foot forward to co-parent together. There will be changes, and nobody ever said it would be easy, but there are a lot of programs out there to assist parents looking to perfect a co-parenting situation – and one of the best is Parenting Class. 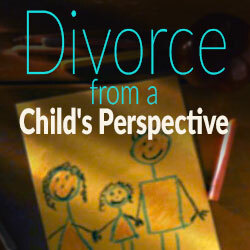 During your divorce proceeding, the judge will almost always lay down a decree for the custody rights of the children. It may be sole custody, it may be sole custody with visitation rights, and it may be joint custody – either way, there is going to be a lifetime of interaction between you and your former spouse and the two of you need to make certain that you are doing the absolute best by your children. No matter the specific custody situation (unless there is a ruling because of potential dangers one parent may pose), you need to understand that this is, at least at first, going to be a very confusing time for your kids – and for both of you as parents. It has almost never been said that co-parenting is a smooth or easy ride – you’re both separating because of problems in your relationship, but may have wonderful little ones caught in the middle. Sometimes it’s hard to look past the difficulties you and your former partner had, but it’s important to understand that from here on out you have to move past those issues and focusing squarely on being the best parents you can be. It is going to be tough – especially at first, and will most likely continue to be difficult for sometime. But you both need to do your absolute best to make sure that the children involved never see the strain, and only have solid rocks to fall back on. Parenting Class makes this situation a whole lot easier – you will not only have a dedicated support group of like minded people going through similar situations as you are, but you’ll receive the kind of guidance and experience you need when navigating some of the difficult waters of co-parenting. It’s important to have access to Parenting Class throughout the stages of your co-parenting life – both of you will likely find new relationships, and as you grow and mature on your own you’ll both likely have separate ideas and philosophies about raising your children. Parenting Class helps you better understand how to intereact with each other in a respectful manner and pilot the rocky road that is raising children together, even when you chose not to be in a relationship. This article is brought to you by the Texas Cooperative Parenting Course™, a divorce parenting course online made for Texans, equips separating, divorced, or never-married parents with skills to successfully co-parent children between 2 homes. It is the only online course written by a Texas Domestic Relations Office and meets the requirements of Texas Family Code sec. 105.009. Parenting is hard enough when there are two people joining forces to raise a family, but even more so when one has to do it alone. Even today, when almost a third of all children are born into single-parent families, single parents still face a lot of negative or misguided viewpoints, most of which center on the opinion that “One parent isn’t enough”. These sentiments are paralyzing and can lead some to feel that they are doing their children a disservice by not conforming to the typical family structure. If you find yourself dealing with feelings of inadequacy, here are some things to keep in mind. It’s the first day of the new school year and your kid comes home in tears. Almost everyone else came to school with a new gadget; where was hers? Or she tells you, as you tuck her in, how Ella’s father took her to a Hannah Montana concert over the weekend. Why can’t her Daddy do that for her as well? Or, why can’t you? It’s easy to feel overwhelmed by the seemingly never-ending list of things you can’t do, things you can’t buy, times you can’t be there, and things your kid will never have. And it is so easy to succumb to the need to compare. But as long as you keep measuring your career, your net worth, your possessions, your achievements, your kid’s grades, and your relationship status against those of others, you will always be wrestling with feelings of inferiority and doubt. This is a trap. Your sense of self-worth shouldn’t be tied to material things. Love, life lessons, simple, priceless joys – these are the things that really matter. Remember: no one is keeping score. The only proof, if there is one, that you are a good parent (and this isn’t even true all the time) is if your child is happy. And an unhappy, unfulfilled, insecure parent cannot have a happy child. Being a single parent means you have to work doubly hard to make up for the household income that a two-parent family would have. It also means that there is a big chance that you are not able to spend as much time as you want with your child. Instead of succumbing to the guilt of being an inadequate parent, become a more conscious parent. Whenever you spend time with your child, make sure that it is quality time. Instead of being merely physically present, be mentally and emotionally present as well. Don’t come home early just so you can be in the same room as your child, while he does homework and you answer email on your smartphone. Help him. Talk to him. Ask him about his day. Make a rule: the moment you come home, you put your phone and laptop away. Believe me, this helps. It’s not about how much time you spend together but what you do with that time that matters. Some children are brought up by one parent and a grandparent. Some are raised by older siblings, a parent and an uncle or an aunt, two moms, two dads, or two sets of grandparents. Don’t let other people’s perceptions about a “normal” family guilt you into thinking that yours is inadequate. There is more than one “normal” family structure and more than one way to raise a child. Remember that a lot of children grow up without fathers and turn out just fine. No one wants to grow up without a father, yes; but no scientific study has yet proven that a father is absolutely essential, either. What children do need is at least one adult who loves, respects, and takes good care of them. The fact that you don’t have a partner doesn’t necessarily mean that you have to be a single parent. If you have a supportive network of family and good friends, they can be your child’s parents as well. Just because you’re a parent doesn’t mean you’re exempt from feeling despair, helplessness, and incompetence. It doesn’t mean that you’re not supposed to allow yourself to feel overwhelmed or envious or lacking. These feelings are perfectly normal and it won’t help to suppress them. Let the notion of being a “perfect’ parent go, because even the best have “off” days and grapple with emotions such as doubt, low self-esteem, and depression. The trick here is to not keep these feelings bottled up but also to not let them overcome you. Whenever you feel a case of the blues coming on, try to get some alone time and do something you love. Garden, journal, read, or watch a movie. Meditate or do yoga. It is hard enough, as a single parent, to deal with other people’s opinions about our life choices and ability to raise children, without us turning those criticisms on ourselves as well. Be kind to yourself and you will become a better parent for it. About the Author: Jackie Villegas contributes parenting and pregnancy advice to AllNineMonths.com. She strives to help parents raise happy, well-manner children that will make the world a better place to be.